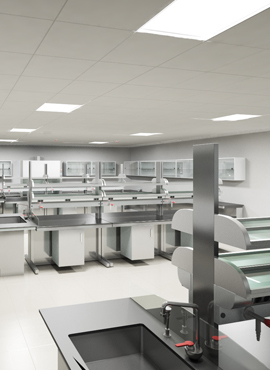 ARIAS labs system is developing and producing laboratory furniture with highly functional solutions. A unique design giving priority to the concepts of Accessibility and Safety . Made by highly advanced treated steel that allows to Lab users a durable and a clean environment of work .